M Humayun Kabir: Awami League General Secretary Obaidul Quader yesterday said that the election-time government will be formed in mid-October. Quader, also the road transport and bridges minister, made the disclosure at a press conference at the Secretariat, reports The Daily Star. The size of the government will be similar to that of the last election, he said. “I have had discussions with the prime minister. There will be no technocrats in the election-time government and its size will be small,” the AL general secretary elaborated. Replying to the Jatiya Party’s request to include one or two of its leaders to the polls-time government, Quader said the prime minister will consider the issue. The nomination of eligible candidates for the national elections will be finalised within next month, he said. 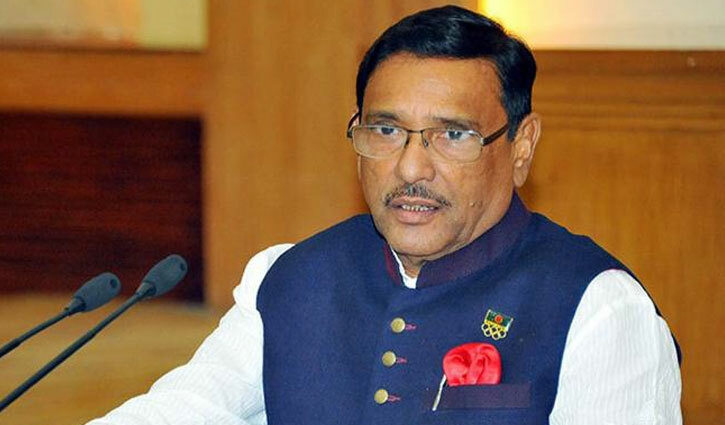 When asked about the preparation of a list of 100 candidates, Quader said he does not know about such a list. The number of the seat allocation among the party alliances could be 65-70, he disclosed while he was asked. If BNP does not participate in the elections, Jatiya Party will separately contest the elections, he also said. Quader also alleged that BNP is doing politics over the sickness of Khaleda Zia. The ministry organized the briefing to address various current issues.